In this paper a fast and novel stability-indicating ultra fast LC method for separation and estimation of impurities in clopidogrel and aspirin in their combined tablet dosage form and omeprazole was developed. The separation of USP related substances of clopidogrel (A, B and C), aspirin (D), omeprazole (A, B and C) and few other unknown impurities was detected by using ultra fast liquid chromatography with PDA detection. The maximum detection was set as follows: 237 nm for aspirin, its impurities and for the impurity C of Clopidogrel and 254 nm for Clopidogrel and its impurities except for impurity C and 280 nm for omeprazole and its impurities. Phenomenex C8 (250 mm × 4.6 mm, 5µ) was used as a stationary column to separate and analyze the mixture within 11 min with a programmed gradient elution of 0.01 M phosphate buffer pH 2.0 and acetonitrile. 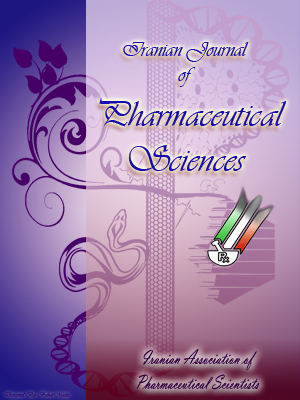 The method was successfully validated in accordance to the International Conference of Harmonization (ICH) guidelines for clopidogrel and its impurities, aspirin and its impurity D and omeprazole and its impurities A, B and C. The tablets were exposed to acid, alkaline, thermal, higher humidity, oxidative and photolytic stress conditions. Samples undergone stressed conditions were analyzed by the novel proposed method. Separation was satisfactory for all the significant degradation products from the principal peaks of drug substances and the impurities from each other. The method complies for the peak purity test for clopidogrel, aspirin and omeprazole in all the samples under stress and showed no co-elution of degradation products. The method was found to be stable, precise, linear, accurate, sensitive, specific and robust. The method can be used routinely to test the adulteration in the pharmaceutical formulations of clopidogrel, aspirin, and omeprazole.